Just one question - is it ok to combine this challenge with other challenges? Of course, as long as it's clear that you've used one of the prompts as inspiration I can't see why not. So this looks interesting Nat. I have three birthdays coming up shortly, hopefully there will be something that gets my imagination working from the prompts. Even one design to send to all three would do! Have caught a bug! Scrapping! I really like the idea of the 3 prompts .. Not sure I can do colours though as I prefer to do black n white stamping, but may give it a go if I have the time! 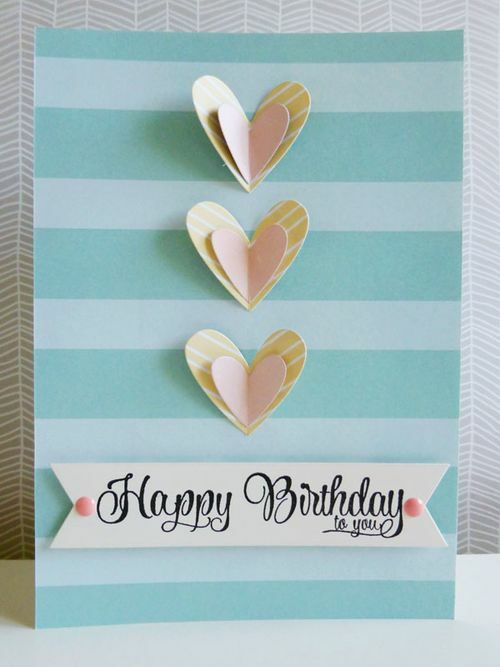 I'm not a card maker originally, but do prefer handmade cards. Can't remember when I last bought one. I make them for my guides' birthday too. But like the idea of making Xmas cards as I simply ran out of time last year n decided I needed to start in the summer - but this would be ideal for me. I also like the idea of dipping n diving n I may well do that so not to put pressure on myself ! Thanks ,great inspirations. I shall get my thinking cap on. I am definitely going to do Christmas cards too, need to get started early this year ! Was thinking I need to join in with this again, I keep trying to give up card making in order to get more scrapping done, but I have so much cardmaking stuff and certain people expect handmade cards now. Thanks for getting it all together for us Nat. I've updated the main post with the prompts for January! Happy crafting ladies! oh this looks fab. I didn't made many cards in 2014, but have enjoyed lurking in the threads and dropping in 1-2 times throughout the year. Thanks to all who did participate and post their fabby creations. I hope I may be able to make more cards this year, but will definitely need the prompts to help! Thank you, Nat, that looks great ! Great to see all the interest in this year's challenge. ...I managed one for the colour prompt too.